Toms River, NJ, September 11, 2018 — With three hurricanes currently churning in the Atlantic, Compass 82, a national nonprofit organization specializing in fast-track disaster recovery, wants anyone in the path of a major storm to know how to prepare themselves and their homes for potential devastation. 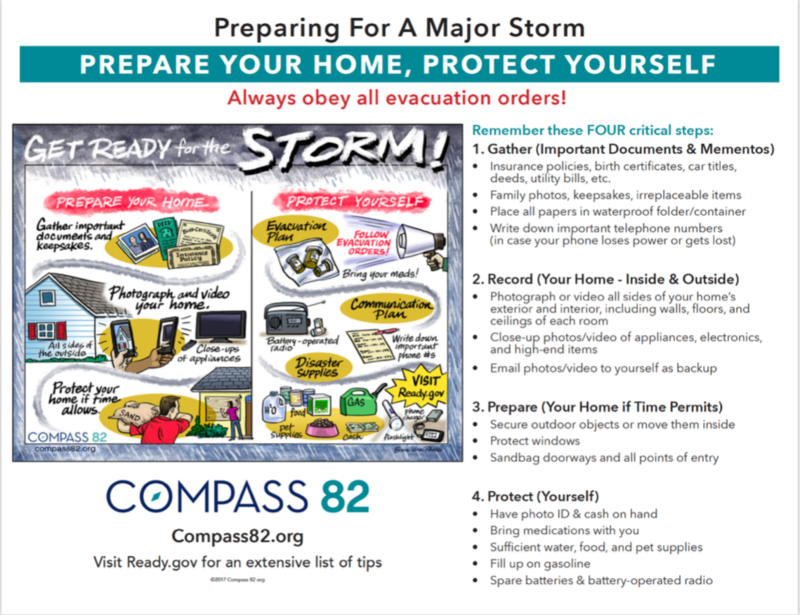 The organization has created a pair of easy-to-follow tip-sheets dubbed “Preparing For A Major Storm” and “After The Flood,” designed to reduce the panic that comes with the uncertainty of an extreme weather event. 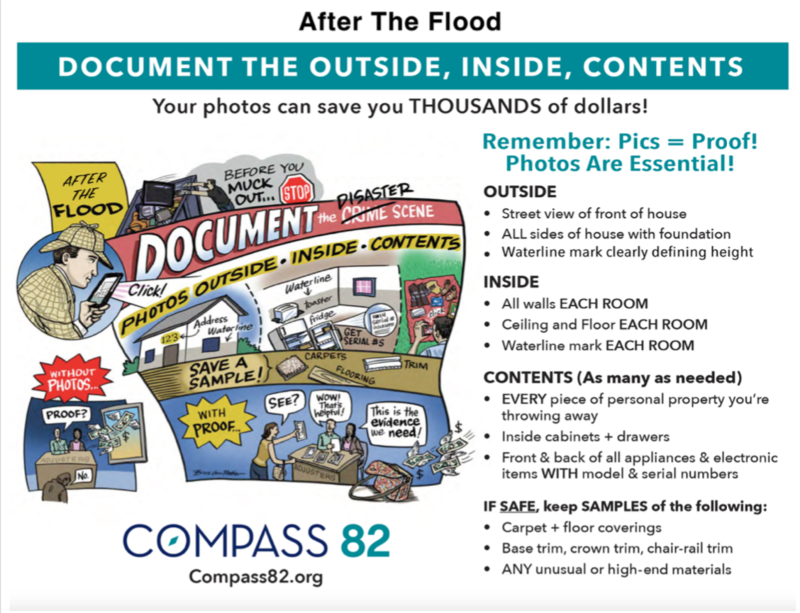 The Compass 82 tip-sheets, “Preparing For The Storm” and “After The Flood,” can be accessed on its official website [link to compass82.org/resources.html]. With a combined 65+ years experience in on the ground emergency management, insurance adjustment, expedited claims facilitation, legality training, home-building, hands-on education and training, and support network programming, Compass 82 aims to be a pioneer in national disaster recovery, delivering accelerated, comprehensive and proven solutions, tools and resources that systematically bridge homeowners, insurance companies, nonprofits, and government agencies to fast-track sustainable recovery. For more information and announcements from Compass 82 and to follow their latest disaster recovery efforts, visit their website [link], Facebook Page [link to FB], and Twitter account [link].